The catalogue of a small archive of the working papers of Gwyn Macfarlane (1907-1987), haematologist and biographer, is now available online, released as part of the Wellcome-Trust funded 75 Years of Penicillin in People project. Macfarlane compiled these papers while researching his book Alexander Fleming, the Man and the Myth (1984). The book re-evaluated the work and reputation of the man whose paper on Penicillium mould inspired the development of the antibiotic drug penicillin by the Oxford University scientists Howard Florey, Ernst Chain and Norman Heatley. The archive includes revealing correspondence with people who were connected with the development of antibiotics, including members of Fleming’s family, nobel laureate Dorothy Hodgkin (whose archive we hold), Norman Heatley (archive at the Wellcome Library) and Edward Penley Abraham (we also hold his archive!). Macfarlane himself was a clinical pathologist at the Radcliffe Infirmary in Oxford and also held a chair in clinical pathology at the University of Oxford, focusing particularly on the treatment of haemophilia. During the second world war, he worked alongside members of the penicillin team, who did war work with Oxford’s blood transfusion service, and later became friends with Howard Florey. He wrote two biographies during his retirement, this biography of Fleming and a biography of Florey, Howard Florey: the making of a great scientist (1979). Macfarlane was elected a fellow of the Royal Society in 1956. His FRS biography is Robert Gwyn Macfarlane, Biographical Memoirs of Fellows of the Royal Society, G.V.R. Born and D.J. Weatheral, Volume 35, 1990. 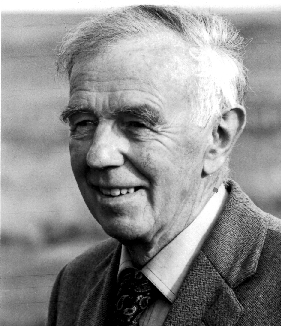 You can find more about Macfarlane’s scientific career at the Oxford Dictionary of National Biography (subscription required), or, of course, at Wikipedia.